As you can see large amounts of dust, pet hair, fibers, pollens and various other airborne irritants have accumulated in the furnace and throughout the duct system. Would you feel good about having your family or your valuable staff breathing through this, day after day, year after year? 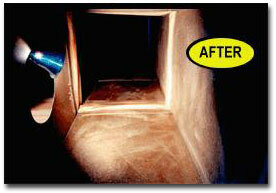 The results of our Sani-vac system leave your ductwork pristine and free of all of those irritants, pollens and dust. Your family will be breathing easier and you will notice less sick days around your home and especially in your business. It is estimated that poor air quality directly results, on a annual basis, one billion in medical costs and $60 billion in employee sick leave and lost production. Why use AAA Indoor Air Quality for your certified duct cleaning, heating repair, air conditioning services, HVAC equipment replacement. How about 50 years of experience and over 35,000 satisfied Portland and Vancouver customers to name a few good reasons. We are your duct cleaning specialist, Our commitment to comfort, quality and value has allowed us to become the area’s leader in heating, ventilation and air conditioning (HVAC) technology and service. Welcome to our projects gallery. Here you can view our highly trained service professionals hard at work. AAA Heating and Cooling provides you with the expertise you expect when purchasing the type of quality products and services that we offer. Regardless of your heating or cooling requirements, we are here to help you achieve your goal. As you will see we are highly experienced in taking care of any size job. Whether its the Oregon State Capitol Building or your home, we will have you and your staff or family breathing easier. 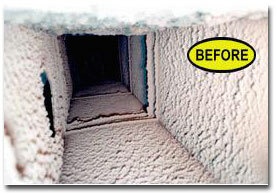 Why use AAA Heating and Cooling for your certified commercial duct cleaning? How about 50 years of experience and over 27,000 satisfied Portland and Vancouver customers and 1,000 of businesses who have benefited from our duct cleaning service to name a few good reasons. We are your duct-cleaning specialists; our commitment to comfort, quality and value has allowed us to become the area’s leader in heating, ventilation and air conditioning (HVAC) technology and service.